True Grit, Texas-Style From the great-grandson of famed U.S. 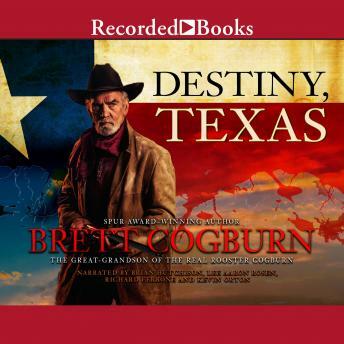 Marshal Rooster Cogburn comes an exciting new legend of the Old West-the epic story of a hero, a family, and a sprawling frontier just waiting to be tamed. Before the Civil War, Argyle Dollarhyde had everything a man could ever want: a beautiful wife, three strong sons, and a prosperous stake in the booming cotton industry. But now, Union troops have left the South in ruins-and Dollarhyde's life is in shambles. Refusing to fall prey to carpetbaggers, Dollarhyde gathers up his family and sets out for the one place a man can still live free: Texas. Where the natives are as dangerous as the land itself. Where wagon trails are forged in blood, cattle drives are defended by bullets, and oil fields are ripe for the taking.